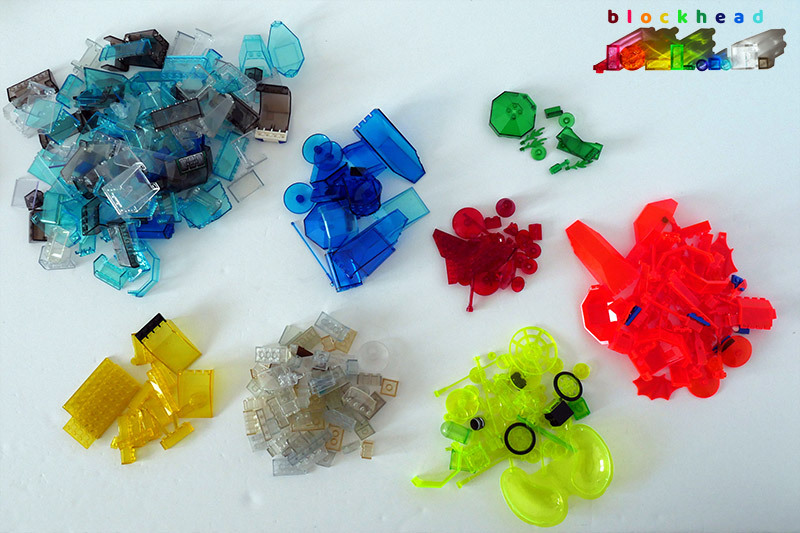 I won this fantastic mixed lot of transparent pieces on eBay the other day. 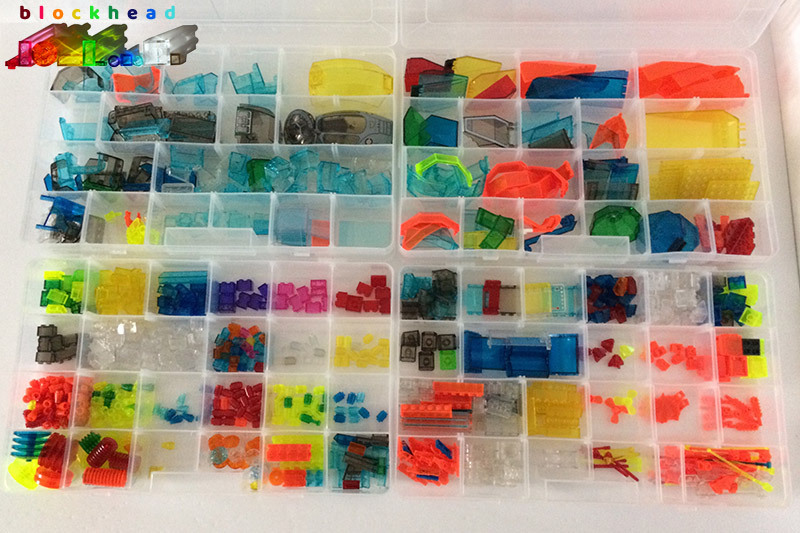 They were already sorted by colour, but I tend to keep my stuff sorted by part as much as possible now. 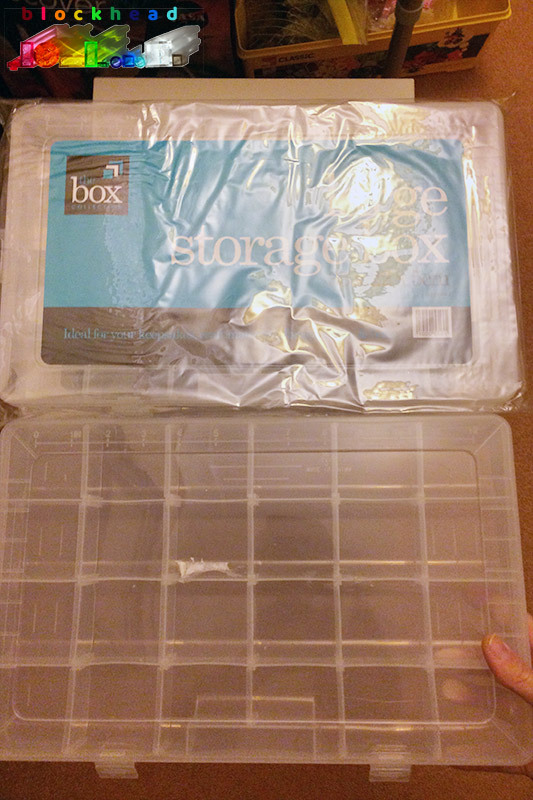 Still, an excellent haul and I will look forward to using some of the pieces very soon. I had never seen anything like it! And there certainly weren’t any “legal” connection points to studs – but it did have a stamp saying LEGO on on side. 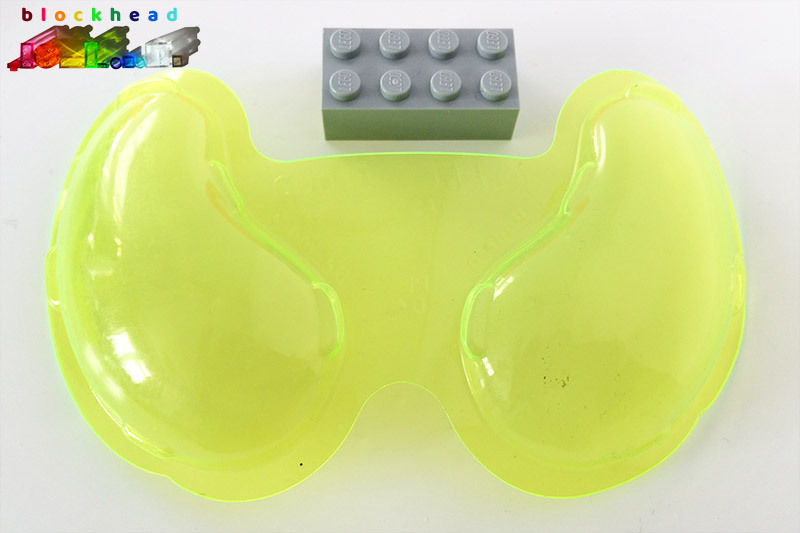 I did some digging and discovered it is the eye section from a face mask included in the Insectoids Combined Set (2490). I honestly can’t see how I would use it for any of my MOCs, so I have offered it to an AFOL friend who builds M:Tron stuff – he’s delighted with the possibilities it has for spaceship cockpit windows – and has promised me some nice goodies in return. So we’re both a winner! Today was also the first day of the London Model Engineering Show at Ally Pally – where I’m exhibiting my two GBC modules. I will do a full write up in the next few days. But on the way back from London, I stopped off at Stratford and did another raid on the PAB wall there – gathering some more black 1×2 grille bricks, some trans neon orange cockpit pieces, dark bluish grey wheel arches and white 2×2 turntable bases, amongst other things. 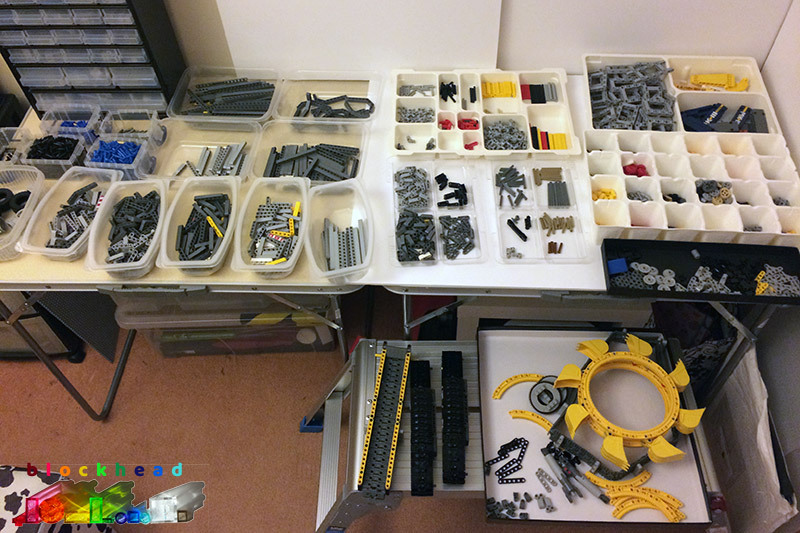 I forgot to take a photo of it all before sorting it into storage, but I will definitely be using a few of those bits for MOCs soon.